Every penny counts when running a small business, but one thing that's hard to budget for is a fire. The insurance agents at Phillip Kent Bech Agency in High Point, NC, understand the importance for businesses to be thoroughly prepared for unexpected disasters. To help you achieve this goal, the small business insurance experts outline their top three fire prevention and preparation tips below. One of the most valuable steps you can take is preparation. No business owner wants to deal with the complications and dangers of a fire, but with the right preparation, you can limit the damage and keep your team safe. 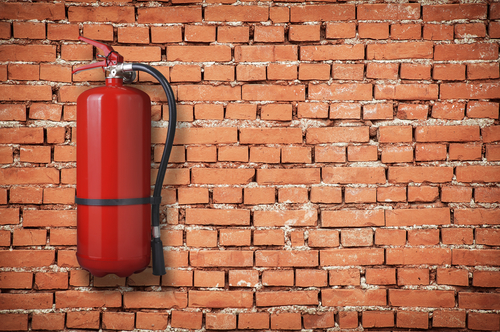 Achieve this goal by making sure that your building contains fire extinguishers, exit signs, and alarms. You should also create and practice a company-wide plan that includes evacuation procedures and safety rules. Being prepared is a key component of running a business, but when it comes to fires, you should also aim for prevention. Many small business fires occur as a result of electrical issues, so it's important that you schedule routine inspections of your structure and equipment. These checks should focus on things like code compliance and voltage usage. You should also double-check your small business insurance policy to ensure that your company is properly protected if a fire does occur. While structural protection is important, you also need coverage for both equipment and products. If your policy doesn't specify that those areas are included, you could face substantial out-of-pocket costs that could damage your profit margins and put your business at risk for failure. By taking the correct steps, you can reduce your company’s risk for fire and ensure that your team is prepared to act if one occurs. Make sure that your company is properly covered by turning to Phillip Kent Beck Agency in High Point, NC, for a small business insurance policy that matches your needs. The team knows that every business is unique, and they're dedicated to providing their clients with a personalized experience that focuses on their specific needs. Request your insurance quote today by calling (336) 434-2111 or by visiting the agency online.